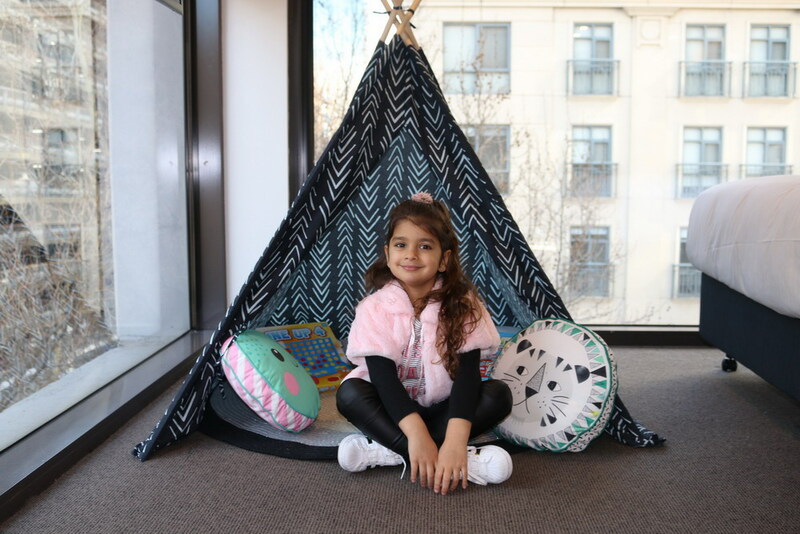 Are you looking for modern accommodation located conveniently in Melbourne CDB that the kids will absolutely love? 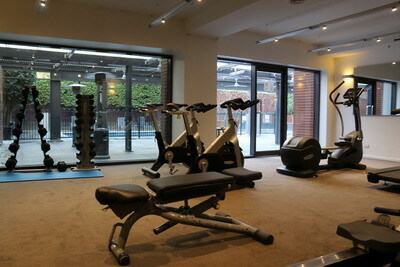 If you are, then the Holiday Inn Melbourne on Flinders is perfect for you and your family. The four and a half star Holiday Inn Melbourne on Flinders is a short distance to some of Melbourne’s main attractions including the Southern Cross Station, Etihad Stadium, Melbourne Aquarium, the iconic city laneways, plenty of shopping, restaurants and cafes and best of all, it’s located in Melbourne’s FREE Tram Zone. We primarily picked this hotel for Father’s Day for the Glamp-In package. 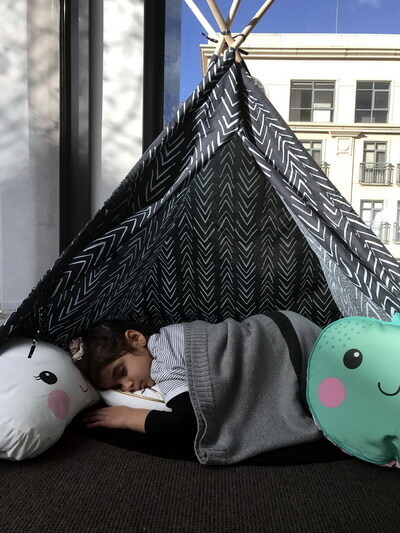 If you haven’t heard of this package and have kids, then we highly recommend you try this new exciting way to spend your time in a hotel that will keep the kids entertained for hours. * Overnight accommodation in a brand new room with two double size beds. 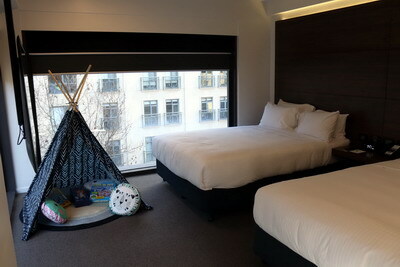 * Glamp-In setup which includes your very own tee-pee with games, pillows and blankets. 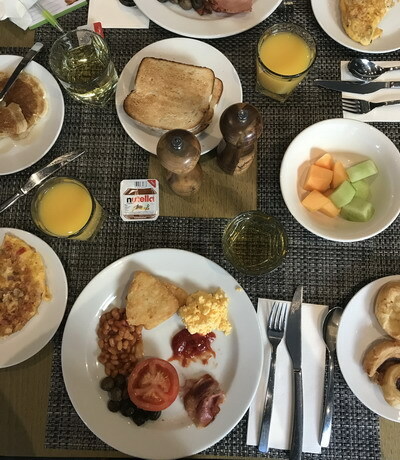 * Buffet Breakfast for 2 Adults and at the Holiday Inn kids under 12 eat FREE. * Kids will also be entertained with their very own kids pack at check in. 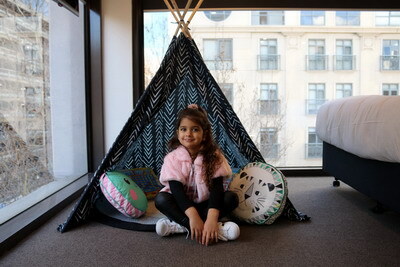 We stayed in a newly refurbished twin room which had just enough room for the tee pee tent and a little bit of extra room for running around and playing in. The adjoining bathroom was brand new and very modern and spacious. There was also plenty of room to store all your luggage. Other room inclusions were Digital TV, in-room safe, work desk and lamp, iron and ironing board and tea and coffee making facilities. All rooms and suites are non-smoking. Breakfast was held in Sirroco Restaurant and was quite good. It consisted of your traditional breakfast including scrambled eggs, bacon, mushrooms, tomatoes and hash browns. You could also order eggs to your cooking preference with the chef at the Egg Station. There was also a great selection of cereals, fruits, fresh pastries and juices (not to mention you can also make your own freshly squeezed juice). I was so excited because The Holiday Inn also supplies Nutella packets at breakfast and many hotels in Melbourne don’t, so this was fantastic for my daughter and I. You know you have found a great Hotel when they supply Nutella at breakfast. Overall, we had a fantastic time and would highly recommend this hotel to all our friends, family and viewers who have kids. Our daughter received a kid’s entertainment pack (colouring book, colouring pencils and lollies) at check in which she was so excited about. It made her feel very special. Our stay was very comfortable and enjoyable and we LOVED the Glamp-In package. 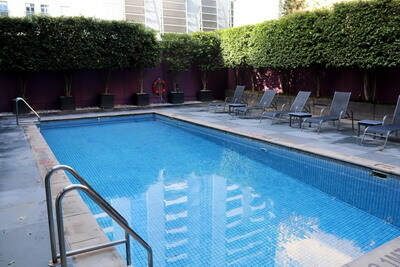 Thank you to the Holiday Inn Melbourne on Flinders for making our stay memorable. We are looking forward to returning to your Hotel very soon. 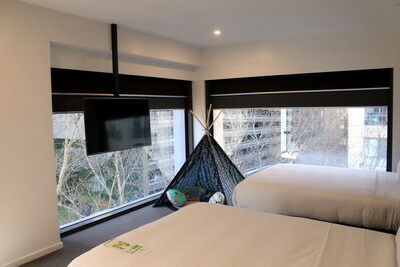 We would like to thank the Holiday Inn Melbourne on Flinders for offering us a media rate and as always, we would never recommend a service or product that we didn’t honestly enjoy. 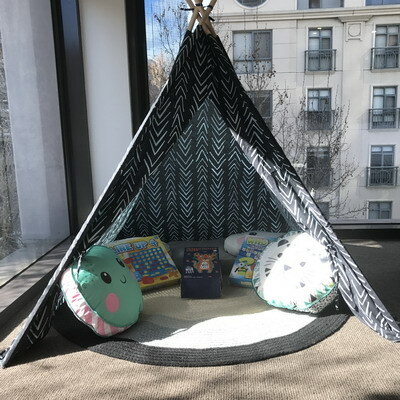 This looks amazing for the kids. Oh WOW this hotel looks fabulous for the little ones. Have to check them out. Sounds like a fantastic hotel. We stayed here a few weeks back. My boys loved it. What a great concept and looks fabulous for the kids. We are looking to do something just like this. Thanks for the recommendation. What a great hotel. My nephews would love this. Stayed here a few weeks back with my two daughters. Loved it. I'm glad you loved it. Its a great hotel. Love it alot. Baby girl you look so beautiful!